Boogie Man Journal: It appears that for most of my Republican colleagues in the Senate, a war in Afghanistan and a war in Iraq were not enough. They now apparently want a war in Iran as well. It appears that for most of my Republican colleagues in the Senate, a war in Afghanistan and a war in Iraq were not enough. They now apparently want a war in Iran as well. A group of 47 GOP senators, led by Arkansas Sen. Tom Cotton, sent an open letter on Monday to the leaders of Iran, cautioning them against reaching an agreement with the U.S. on its nuclear program. The senators wrote that an agreement without congressional approval would be “a mere executive agreement” and noted that the next president could overturn a deal when Obama leaves office. Four potential 2016 GOP hopefuls — Sens. Marco Rubio of Florida, Rand Paul of Kentucky, Ted Cruz of Texas and Lindsey Graham of South Carolina — all signed the letter. The White House and several congressional Republicans and Democrats have criticized the letter as an attempt to politicize the issue and purposefully derail the president’s foreign policy goals. Sanders hailed the importance of trade unions in his speech on Tuesday morning and also took a shot at Wisconsin Gov. Scott Walker, a potential GOP presidential candidate, for signing right-to-work legislation in his state. The senator’s address — the first on a day that will include speeches from other potential Democratic presidential candidates former Sen. Jim Webb of Virginia and former Gov. Martin O’Malley of Maryland — struck familiar tones for Sanders, as he railed against “the billionaire class” and called for a grassroots coalition for a working-class agenda. “Maybe, just maybe, it’s time for corporate America and the wealthiest people in this country to start paying their fair share of taxes,” he said in one of his loudest applause lines. Sanders has visited early nominating states New Hampshire and Iowa several times in recent months, most recently a three-day, nine-event visit to the Hawkeye State last month. The senator, who has recently expressed frustration with repeated questions about his potential 2016 rival, likely frontrunner Hillary Clinton, declined twice to comment on her email scandal. “I really don’t want to talk about Hillary Clinton,” he said, when asked about her upcoming press conference Tuesday where she is expected to discuss her use of a private email account used to conduct business while she headed the State Department. At a speech and Q&A at Washington’s National Press Club on Monday, Sanders said he had received no constituent phone calls about the emails and that it’s “not one of the big issues” he’s focused on. 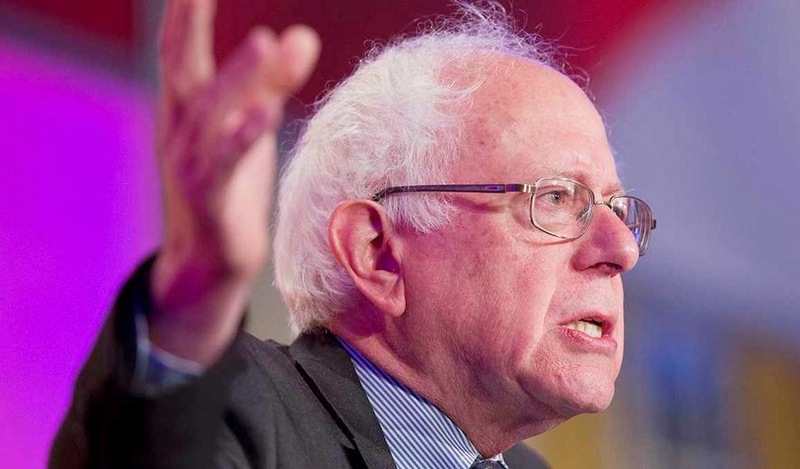 A Sanders adviser said Monday that the Vermonter is likely to make a preliminary decision on a 2016 run this month.